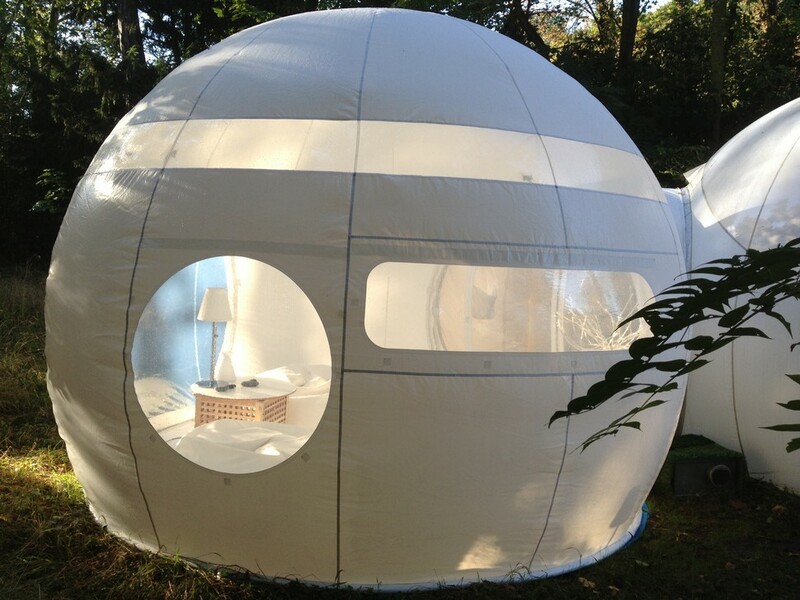 Your holidays taken to the next level: go glamping in a bubble! 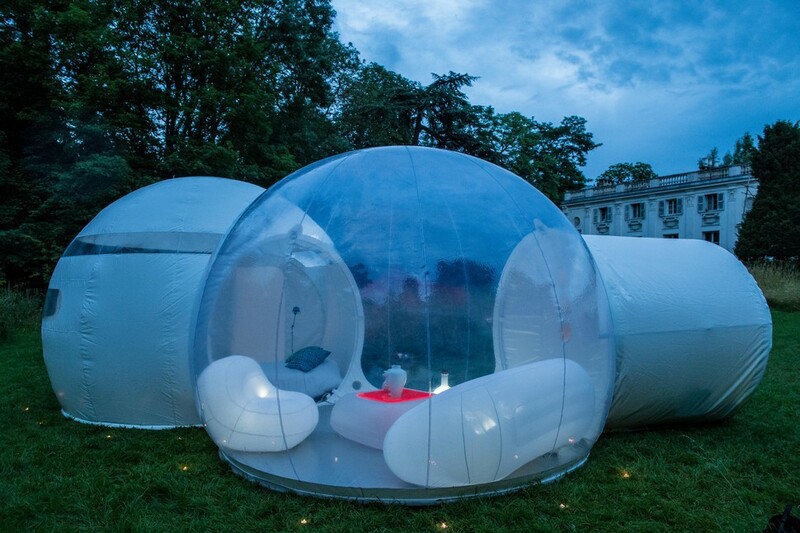 We were intrigued when we were contacted by Casabubble – a new company producing wonderful bubbles that would be great for glamping! Below is a lovely article supplied by them to tell you more about their great products! 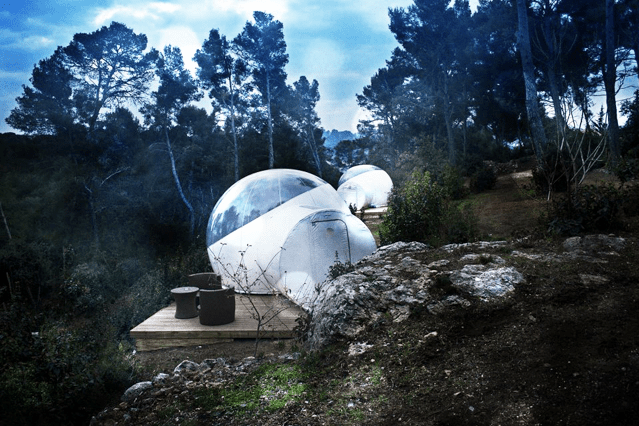 Why go glamping instead of regular camping? 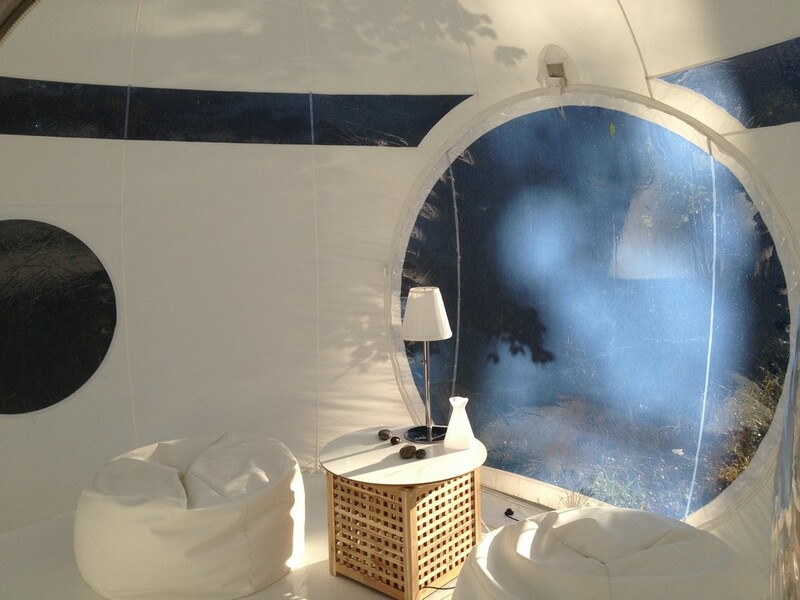 Glamping is all about the luxury camping experience: great comfort, beautiful surroundings, unique setting. 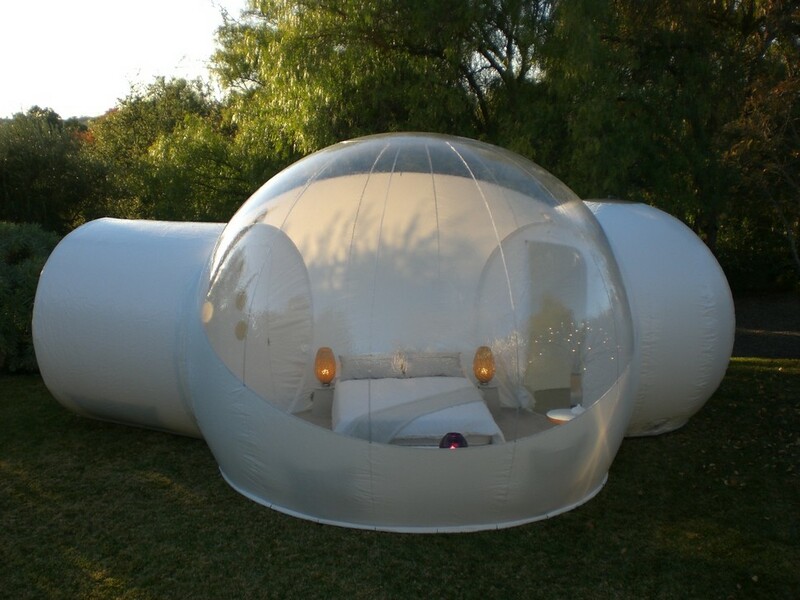 This is what CasaBubble tries to provide with its innovative bubble tents. Completely structure-less, the bubbles are held in shape with inside positive pressure, thanks to a very silent turbine that constantly blows air inside. They are made out of very resistant PVC, and are meant for temporary outdoor accommodation. 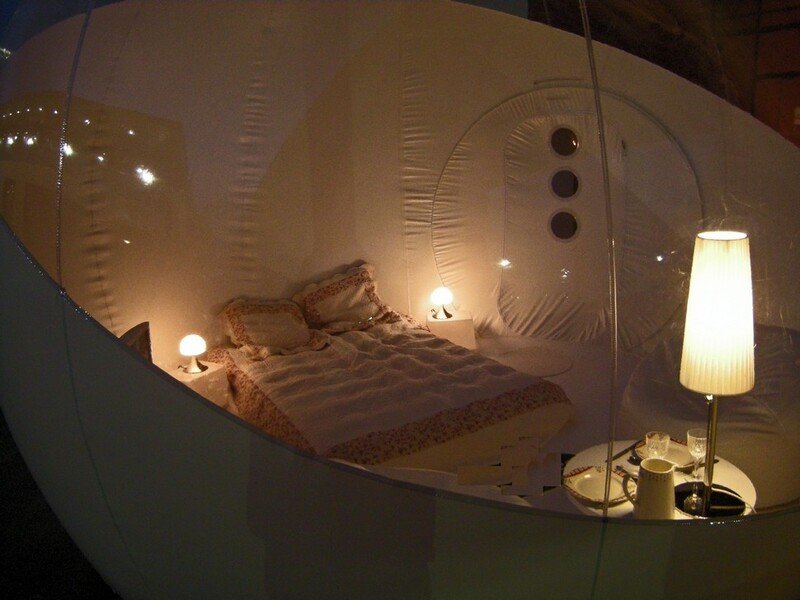 Which means you can set them up anywhere and enjoy the most wonderful landscapes, whilst being in a cute cocoon! The impact on the environment is nearly nonexistant: very little material is needed to manufacture the bubbles, and PVC is recyclable. Plus, the turbines that hold the dome in shape are very low-energy consuming – 55 Watts, the equivalent of an electric light bulb. 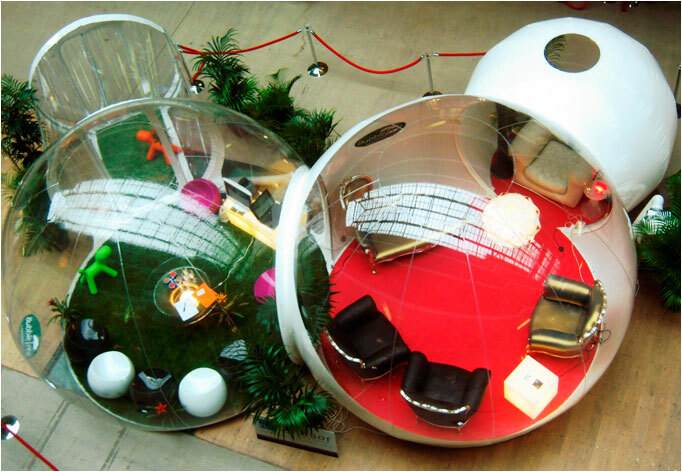 With their wooden base, the bubbles can be furnished like a real home. You can put a king-size bed inside, create a living room, a cozy breakfast space, and even a children bedroom if you choose a larger structure like the BubbleLodge or the GrandLodge. Plus, an air filter avoids condensation or mold, and keeps allergens, pollens and bugs away. You can enjoy all kinds of natural environments without giving up any comfort! 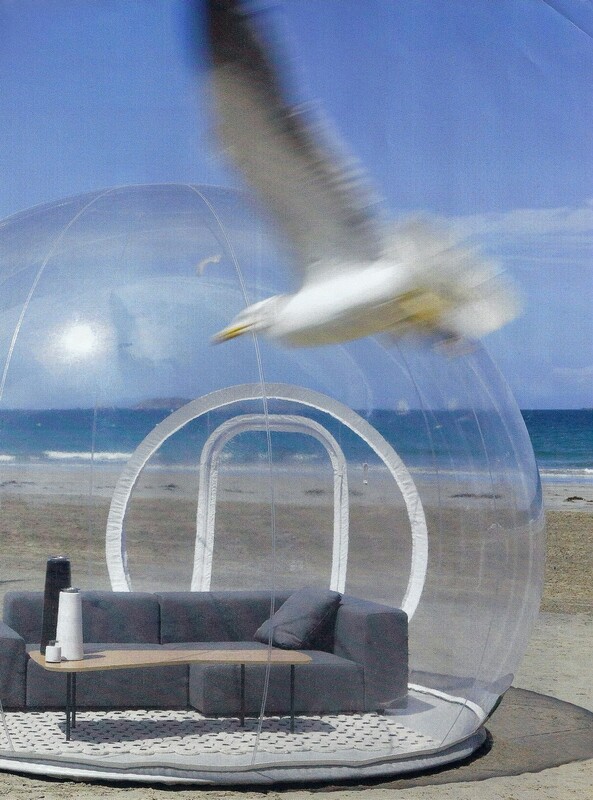 The spherical shape is known to provide a very calming sensation when people are inside: they instinctively speak more softly and feel more relaxed. Isn’t it what a vacation is about?